The premier issue of Kronicle Magazine is out and Grassroots Powdersurfing is stoked to have some content in the magazine! 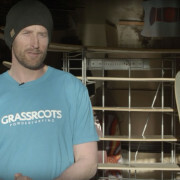 Check out the “Primal Pow”story for the goods! 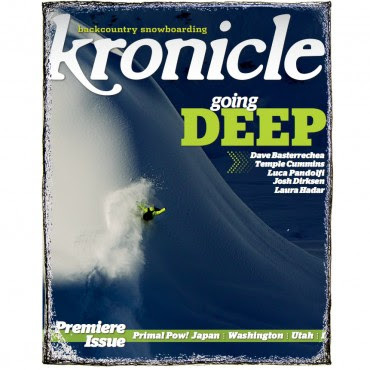 When Kronicle Magazine contacted me about running a story on our boards I was stoked to say the least. This would be the debut issue for a new magazine focused purely on backcountry snowboarding and I knew their readers would be the ideal audience for what we have created. I would highly suggest you ORDER A COPY NOW! A peep at the spread. I never thought I would have my photo in a mag next to Johan Olofsson! I was pretty stoked to get published in a world wide mag both as a photographer and and athlete. Technically, it was the second time I have had an action photo of myself published in a major magazine. The first was a photo of me in the Northface Masters competition at Snowbird a few years back…kicking out a big method off of a cliff onto a bullet proof landing and of course the photo was labeled with someone else’s name… just my luck! They didn’t even bother to correct their mistake. Lame. We were delighted for coverage in such a widely distributed magazine. So much so that we bought our first ever add to run in the mag. Cost was very high for a small company like myself.. hopefully that investment pays off down the road. Surely this add makes you want to buy a powsurfer right? 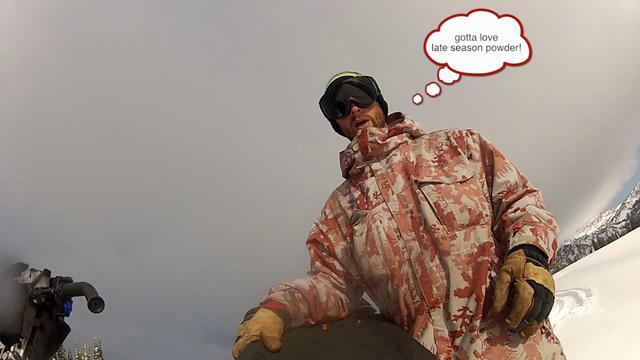 Powder-Day Saints - "The Second Coming"
This is awesome! Unfortunately, media and news never get it exactly right. You should have made someone ride one of your powder surfers before writing the article. 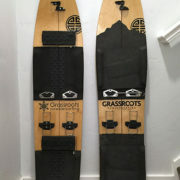 Then they wouldn't have been able to get their minds off it, and I'm sure it would be more powsurfers and less bindings. But, I'm so proud of you guys! 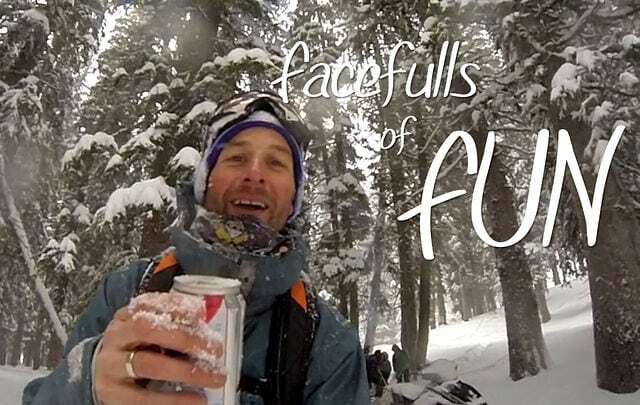 “Surfing Powder…. 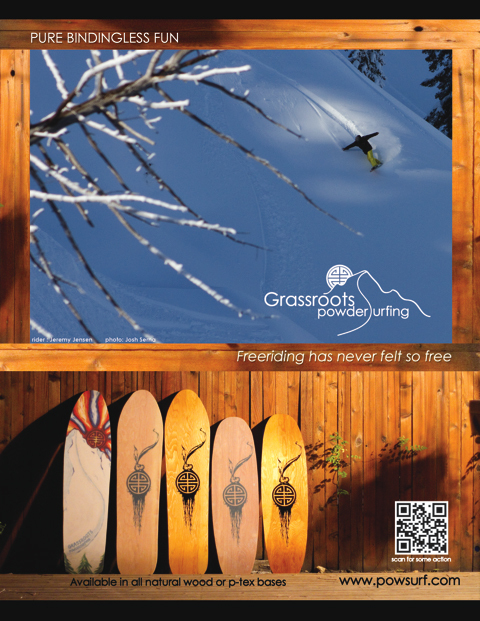 Literally” – Powder Propaganda SLOPE Magazine – double pager!